Joseph Gordon-Levitt is an American actor, director, and scriptwriter who has been nominated for the Golden Globe Award twice. The actor earned his fame thanks to the fantasy and comics-blockbuster movies Inception, The Dark Knight Rises, Looper, and Sin City: A Dame to Kill For. Besides, Gordon-Levitt often appears in biographical projects: he played in Lincoln, Snowden, and The Walk. Joseph was born on February 17, 1981, in Los Angeles. The boy grew up in a Jewish family that had never been “strictly religious.” The future star’s father, Dennis Levitt, and the mother, Jane Gordon, were colleagues on a radio station. They both used to be hippies and believed a wife should not change her second name after her marriage; thus, their son received two second names. The actor’s grandfather from the mother’s side, Michael Gordon, was a quite famous director. There is no surprise the boy was involved in the world of cinematography and television from the early childhood. 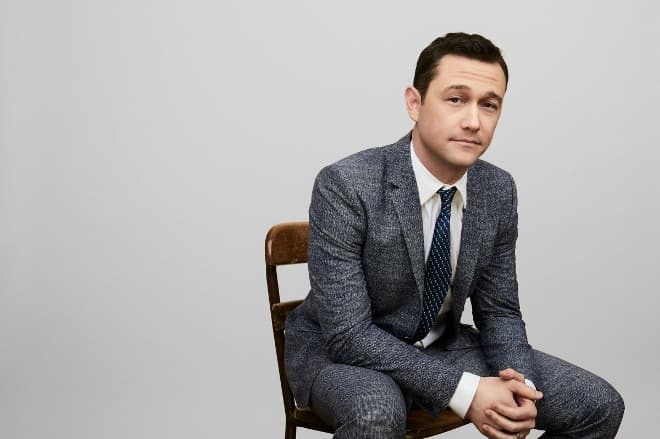 At four, Gordon-Levitt took up a musical theater group and participated in the performance The Wizard of Oz as Scarecrow. An agent noticed the young actor’s talent. Soon, Joseph appeared in a peanut butter advertisement and several other ads. At the same time, Gordon-Levitt continued to work on amateurish musicals. At the beginning of the 2000s, Joseph studied at the Columbia University; at that time, he was pretty famous. Joseph Gordon-Levitt debuted early: at seven, he participated in Stranger on My Land. In 1992, the actor got his first role in the full-length movie Beethoven, even though he appeared on the screen for several seconds. Then, he took part in Robert Redford’s A River Runs Through It. 1996 brought the comedy series Third Rock from the Sun which made the actor popular; he gained several awards for that role. As Third Rock from the Sun was closed, Joseph stopped acting for a while and came back to cinematography after he graduated from the university. From that time, he collaborated with independent directors mostly. 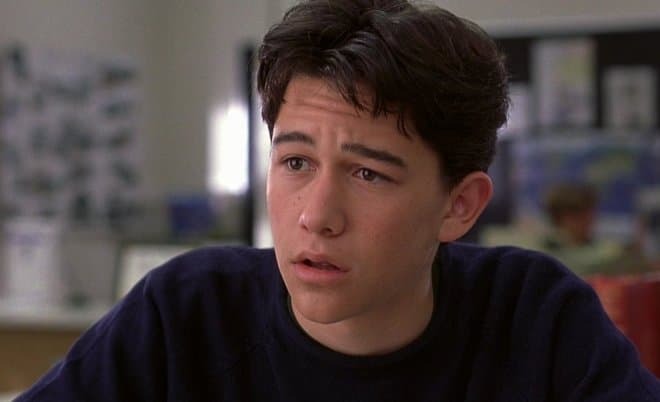 In 1999, Gordon-Levitt played in the comedy melodrama 10 Things I Hate About You promoted as the modern screen adaptation of Shakespeare’s The Taming of the Shrew. Heath Ledger and Julia Stiles got the lead parts. In 2001, Joseph got the main role in the psychological drama Manic shedding light on social problems through the psychiatric hospital. Later, the movie Mysterious Skin followed; Gordon-Levitt played a gay street hustler. In 2006, the actor played in Stop-Loss and Killshot. For the next couple of years, the actor’s roles were secondary, and those movies did not become popular. The 2009 indie comedy drama 500 Days of Summer brought Gordon-Levitt the nomination for the Golden Globe. Joseph and his movie partner Zooey Deschanel played lovers so convincingly that fans started spreading rumors about the actor’s relationship. However, Joseph and Zooey did not confirm that. In 2010, the actor took part in the arthouse drama Hesher where he played Hesher, a misanthrope, who suddenly started caring about an orphan, T. J. 2010 was marked with the successful role in the sci-fi thriller Inception by Christopher Nolan. The movie is based on the original idea of entering someone else’s dream. The main characters earn their living by stealing corporate secrets from people’s subconsciousness. They face no ordinary tasks: not to steal but implement information. The movie ending is pretty ambiguous. Leonardo DiCaprio, Ellen Page, Tom Hardy, and Marion Cotillard got the lead parts. The project won four “technical” prizes: the Academy Awards for Best Cinematography, Best Sound Editing, Best Sound Mixing, and Best Visual Effects. In 2011, Joseph Gordon-Levitt and Seth Rogen played the main characters in the tragicomedy 50/50. The movie tells the story of a young man found of sports and avoiding bad habits. Suddenly, he learns at the doctor’s he is gravely ill. In 2012, the audience enjoyed Joseph’s acting in four projects. In the comics blockbuster The Dark Knight Rises, the actor played the detective John Blake. As long as Joseph’s name was included in the cast of the upcoming movie, fans were sure Gordon-Levitt would play Joker because the deceased Heath Ledger and Joseph bore some resemblance. However, the movie creators did not replace one actor with another to respect Ledger and develop the trilogy plot. The role in the biography Lincoln followed. In the movie Premium Rush, Joseph played a bicyclist Wilee. The audience especially liked the fantastic action movie Looper with Gordon-Levitt. The actor played Joe who was murdering people sent by the future people performing the function of judges. Although the man was not very tall (176 cm.) and did not look like a professional assassin, he played the brutal role impeccably. As the story runs, Joe has to murder the 30-year-older self. Bruce Willis got the role of future Joe. In 2013, Gordon-Levitt debuted as a director with the movie Don Jon. He also wrote the script and played the lead part in this project. It was the story of the modern womanizer who was always getting into something. The next year, Joseph starred in the detective noir thriller Sin City: A Dame to Kill For based on the graphic novel Sin City by Frank Miller. The project stood out for its color solution and star cast: Mickey Rourke, Jessica Alba, Bruce Willis, Eva Green, Lady Gaga, and other celebrities participated there. In 2015, Gordon-Levitt played in Robert Zemeckis’s biographical movie The Walk. The actor played the French high-wire artist Philippe Petit who walked a tightrope between the Twin Towers in New York World Trade Center in 1974. The movie was based on Petit’s autobiographical book To Reach the Clouds. 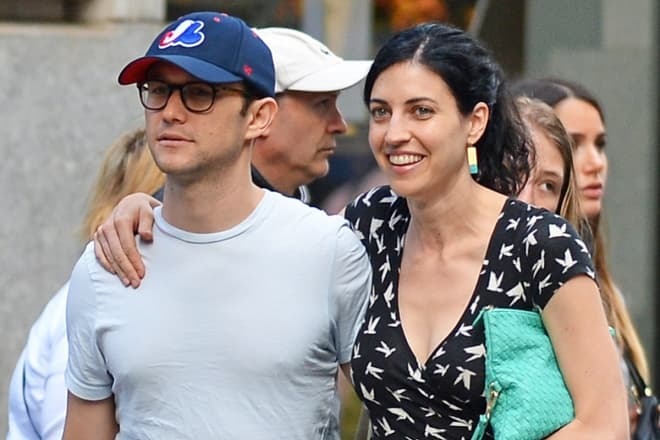 Joseph Gordon-Levitt has never been too open in terms of his personal life. However, journalists learned some facts. In 1999, the actor started seeing his stage colleague Julia Stiles; the affair lasted for seven months. Later, Joseph began to date Larisa Oleynik whom he had known since the shooting of Third Rock from the Sun. This relationship lasted for three years. In the course of time, people’s interest in Joseph was growing. As a result, there were many speculations about his private life. Gordon-Levitt’s relationships with the actresses Evan Rachel Wood and Lucy Liu, the model Devon Aoki, and the dancer Lexy Hulme were actively discussed. After Joseph Gordon-Levitt and Scarlett Johansson starred together, they were allegedly dating. The media also spread rumors the actor was gay. Just like the speculations about his numerous affairs, the information was never confirmed. In December 2014, Joseph married Tasha McCauley. The wedding ceremony was not flashy: the lovers invited their close relatives and friends. Today, the actor’s wife is the CEO of Fellow Robots, the NASA Research Park company producing robotics in the Silicon Valley. In 2015, the couple’s first child was born; the boy’s name has not been revealed. Although the actor jealously protects his private life from journalists, he has the verified Instagram account where the man regularly posts photos and short videos from movies and everyday life: going out with friends, family evenings, and even Comic Con events. In 2016, Gordon-Levitt starred in the political thriller Snowden based on the biography of the former CIA and NSA agent who provided the media with the information about how intelligence services watched over citizens. The movie was based on the books The Snowden Files by Luke Harding and Time of the Octopus by Anatoly Kucherena. In 2017, there were rumors in the media that Joseph’s wife was pregnant again; the paparazzi took pictures of Tasha and her belly. The couple did not comment on those photos. In June 2017, their second son was born.